When it comes to finding the best dentist in Stratford, CT, you’ll want a reliable, honest and friendly dentist to put you first! 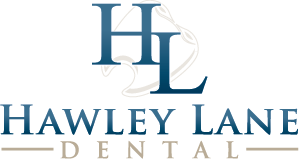 At Hawley Lane Dental, we pride ourselves on our outstanding reputation as Stratford’s best dentist. You don’t have to take our word for it – read dentist reviews from dozens of our satisfied patients below. Dr. Kristy Gretzula has consistently been voted by her peers as “Top Dentist” listed in Westport Magazine since 2010. But even more important than the word of her peers, are the words of her valued patients. Please read our dentist reviews below to see why Hawley Lane Dental is the best dentist in Stratford! “Dr. Gretzula is very professional, informative and personable. “I had my teeth cleaned this week and was very much pleased with my dental hygienist. She was gentle and pleasant. “I am so pleased with Dr. Kristy and her staff-they really put you at ease and make your visit so enjoyable. “The best dentist in Fairfield county!! Consistent quality care by entire staff! Everyone is easy to talk to, caring and professional. The entire staff is up to date on the most advanced and new techniques. “Always welcoming and professional. Had a substitute technician so appointment was not cancelled, as hard to find time off. Tatiana was perfect, she fit in as part of team that gives excellent service every time. “I have been a patient for several years and have to compliment the staff for their friendly and efficient treatment. “I have always felt welcome and comfortable going here. The staff is polite, friendly, knowledgeable, and professional. The facility is clean, organized, and up to date with all modern equipment and tools. I am very happy coming here the past few years and will continue doing so.